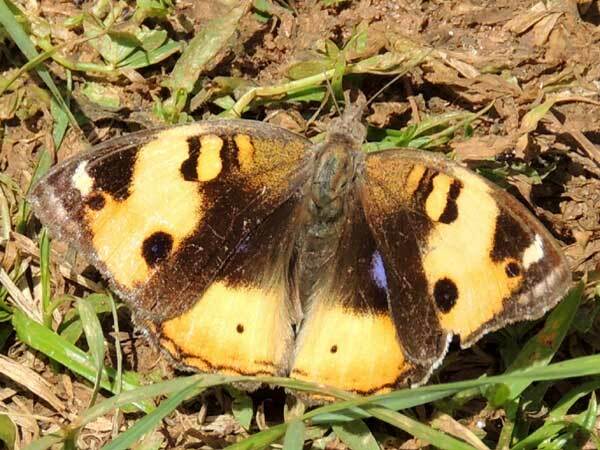 This butterfly was observed at Kitale, Kenya on 30 November 2013. A blue patch on the right hindwing is partly revealed. 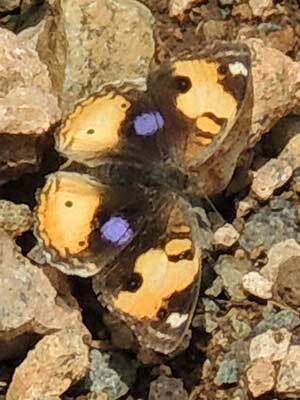 Yellow Pansy often perch on the ground in open areas with the wings held flat. The top pair of wings can be folded rearwards and then forward to reveal a startling blue patch on the hind wing. The range of this butterfly includes much of tropical Africa and Asia. Near Nairobi National Park, Kenya. Dec. 2015.